Rovotics newest innovation, Mako, is the culmination of months of research and testing. With a variety of advanced new features, such as ROV CORE and an adjustable buoyancy system, Mako is our most advanced ROV yet. Designed for Lake Washington in Seattle, Mako has a variety of advanced features and tools that make it optimized for construction, scientific research, and aircraft recovery. Jesuit Robotics is a high school academic team specializing in the design, manufacture, and operation of underwater Remotely Operated Vehicles (ROVs). Our team is comprised of highly-skilled members with multiple years of experience, providing us with the expertise to tackle a variety of challenges. Over the past decade, Jesuit Robotics has successfully produced ROVs suited to a variety of missions, including exploration of shipwrecks in the Great Lakes in 2014 and scientific research and oilfield maintenance in the Arctic in 2015. Most recently, our 2016 design, Cuttlefish, was optimized for outer space transport and designed to operate under the frozen crust of Jupiter’s moon, Europa, and in the deep waters of the Gulf of Mexico. We were the first team to win first place 3 times in a row and have won various awards, from design excellence to best technical documentation. Our team members have a passion for technology and engineering. Each year we construct a ROV to compete in the MATE International ROV competition. Jesuit Robotics and the MATE competition give us the opportunity to work with people with the same love of technology and engineering. We are able to practice real life STEM skills, such as software development, manufacturing, 3D design, electronics design, and mission operations. Besides just STEM skills, we practice communication, program management, and safety. The Marine Advanced Technology Education (MATE) Center is a national partnership of organizations working to improve marine technical education and help to prepare America's future workforce for ocean occupations. Headquartered at Monterey Peninsula College (MPC) in Monterey, California, the MATE Center has been funded as a National Science Foundation (NSF) Advanced Technological Education (ATE) Center of Excellence since 1997. 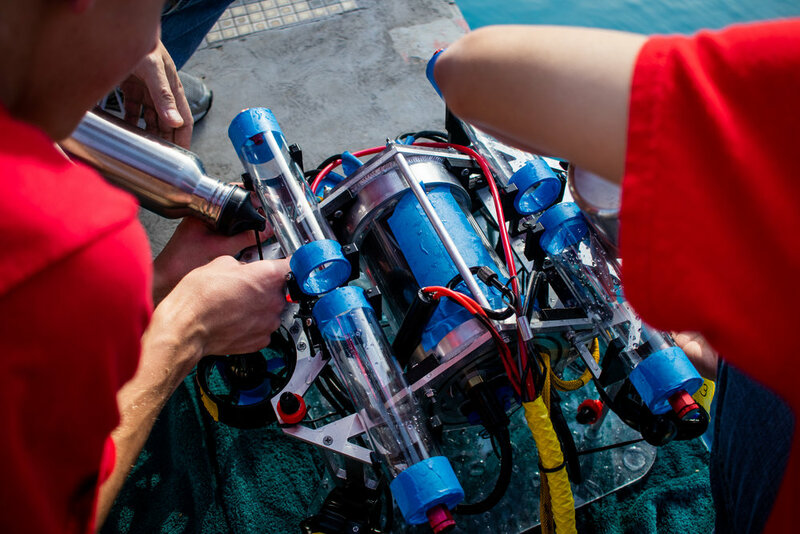 Each year, the MATE international ROV competition challenges students from all over the world to design and build ROVs to carry out missions simulating scenarios found in real world underwater environments. Teams participating in the competition must think of themselves as companies that manufacture, market, and sell their product. In addition to engineering and manufacturing an ROV, each team must also prepare a detailed technical report, a marketing display, and a product sales presentation.